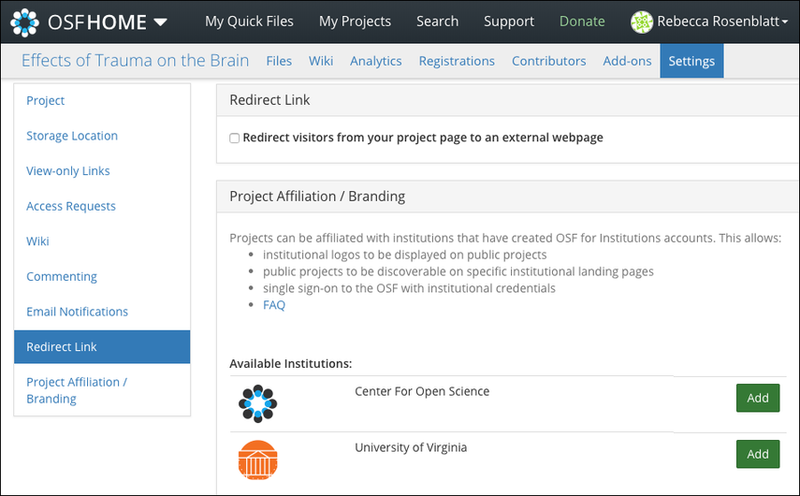 You can add a redirect link to any project or component to give visitors an option to redirect to an external site, such as a personal website, blog post, journal article, etc. Only admins and read-write contributors can configure redirect links. 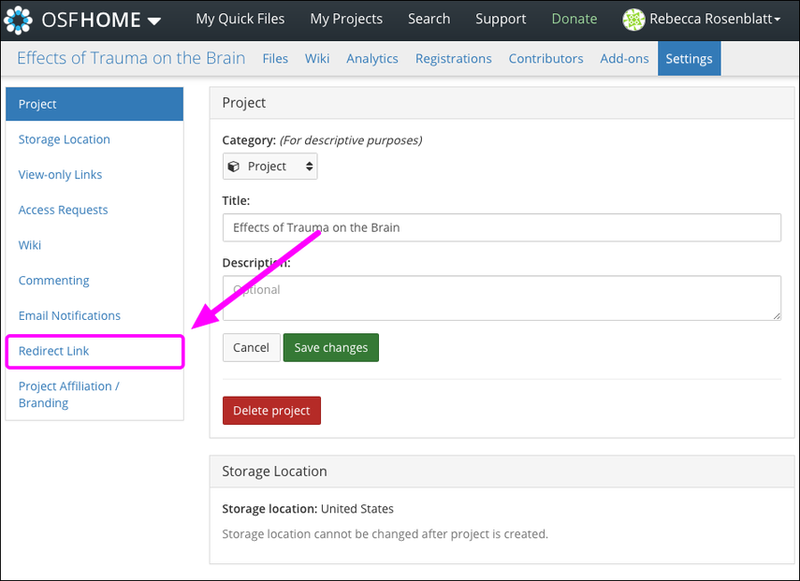 On your project "Overview" page, click the Settings tab in the navigation bar. The project's "Settings" page will appear. Click Redirect Link from the left sidebar. You will be directed to the "Redirect Link" section of the "Settings" page. 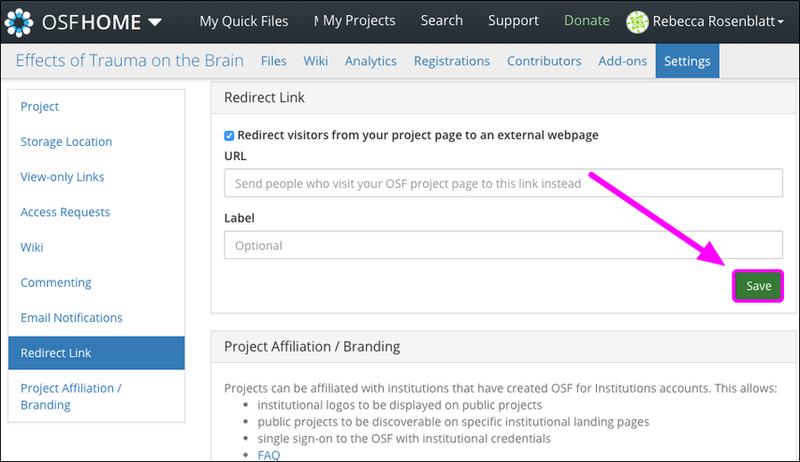 Check the box next to Redirect visitors from your project page to an external webpage. Two fields will appear below this section. In the "URL" field, enter the URL of the site to which you want to send your visitors. The "Label" field is optional. 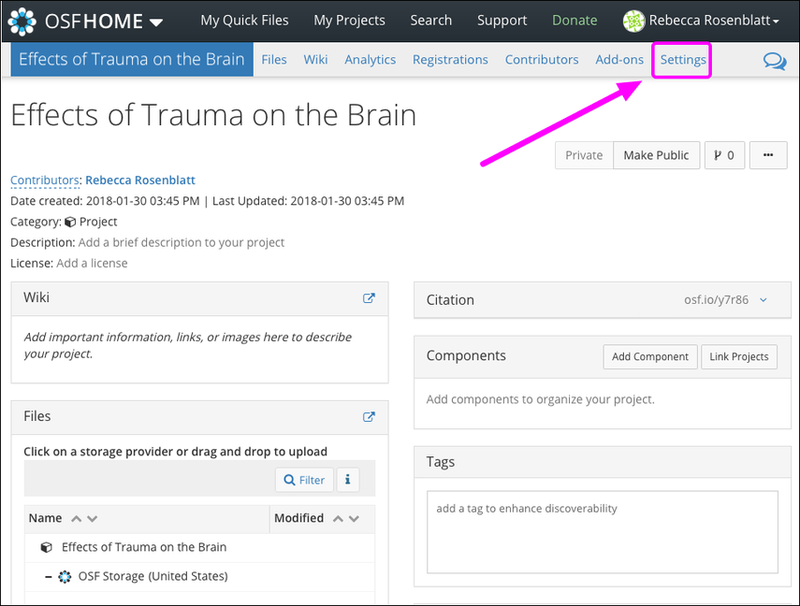 Adding a label helps admin and read+write contributors to better identify the link. Visitors to the project will not see the label. 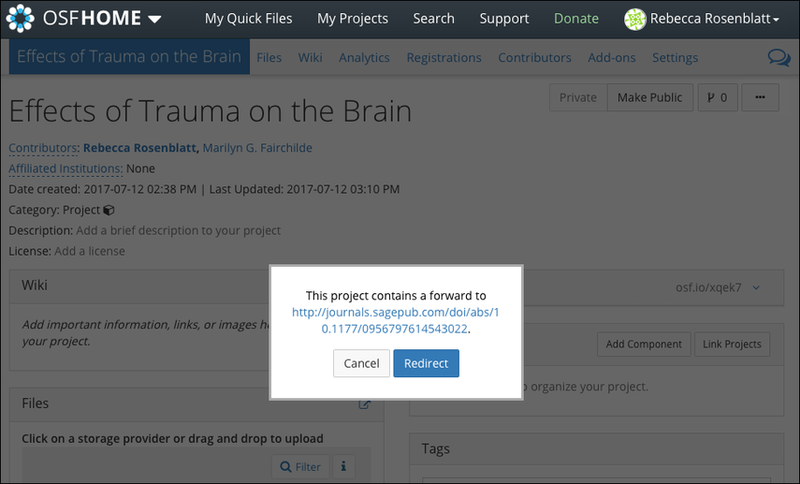 Now, when you or others navigate to the project "Overview" page, a modal will appear asking if you would like to redirect to the link provided. Click Redirect to follow the link. Click Cancel to stay on the project.